We are one of the leading pulse jet valve supplier, manufacturer, and exporter in India. Our wide range of pulse jet valves is made using fine quality raw material and advanced technology machines. We make these valves available in various size and dimensions. 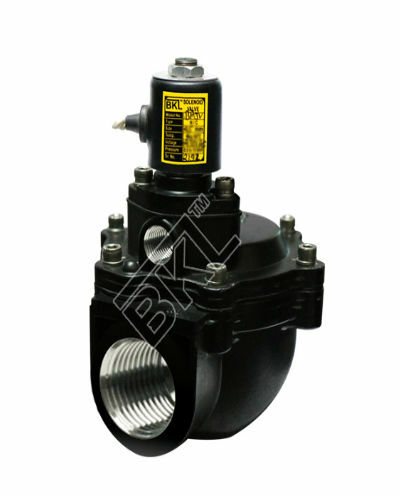 These valves are demanded and highly praised for their durability, reliability, and efficiency. 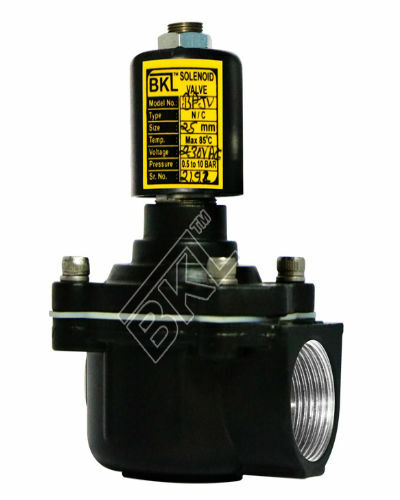 Due to constant research and innovation by the team of professionals and engineers for new compact design and product operation has resulted into BKL Control’s expertise into developing and supplying any type of pulse jet valve to meet the specific requirement of today’s customer. Pulse jet valves are used in different systems for filtering of dust collectors, turbines and for desulfurization of different types of equipment.They are also used to clean different filters such as ceramic filters, cartridge filters and metal fibre filter. This valve works in different application as a dust collector. Pulse jet valves are designed especially for dust collector system; In the dust collector system dust is removed by high-pressure air that enters at the top of the tubular bag, Pulse jet valve feed nozzles with air through the pipe. It will create airwave that passes through the bag and expand it, this effect shatters the dust around the bag. Pulse jet valve is used for the required fast closing and opening of the dust collector. Pulse jet valve also enables controlling of the pressure drop. They are indirect type solenoid valves. When the solenoid of pulse jet valves gets energized, air trapped in the diaphragm is exhausted causing pressure difference in the diaphragm. Then the diaphragm is suddenly opened. When it is de-energized, air passes through the hole to the chamber which can balance the air pressure and close the valve. The opening and closing of the valve are done very fast for filter cleaning and consumption of compressed air effectively. Moving parts of the valve are kept small for minimum inertia but KV values are very high. Dust collector systems are very useful for removing solid pollutants or recovering valuables from exhaust gases before discharging them to the atmosphere. Generally, it consists of a filter cleaning system, blower, and dust removal system. We provide a wide variety of pulse jet valves to our esteemed customers as per their requirement and specification. We are the only pulse jet valve supplier in India, who can provide these valves with custom designs and advanced features. Our offered pulse jet valves are well known for their reliability, durability, effective operation, compact size, efficient controls, and power saving characteristics.